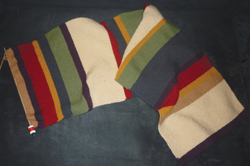 The scarf isn’t quite half way done, but is coming along quickly. Next: I’m here. Really. I am.